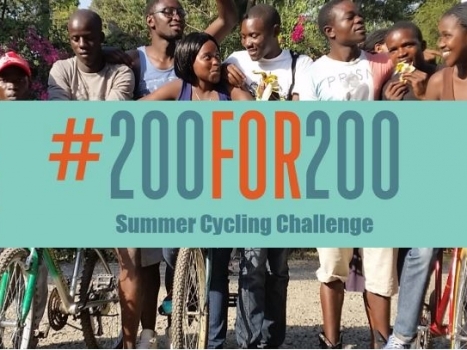 Our #200for200 Summer Cycling Challenge came to an end yesterday. Thank you to everyone who participated, donated or helped to spread the word. Your fundraising and cycling meant that we now have can donate 51 bicycles to our partner communities in Africa on next year’s Tour d’Afrique. It all got underway on June 12 – the 200th birthday of the first ever bicycle ride. Henry Gold and the TDA head office got themselves personally involved in the challenge. 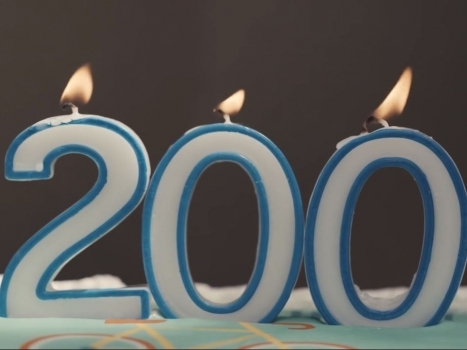 Halfway through the summer a world record was set by one of the #200for200 challengers. Not bad! And as of this writing on the final day, the donation total is at $10,285 and donations are still coming in! Well done to everyone involved! 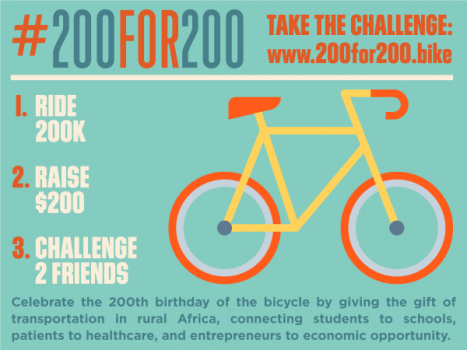 The #200for200 campaign is over, but our TDA Foundation accepts donations year round for our bicycle donation program. Donate here. Team “Fun (d) Raiser” – We have reached out to you by email to make arrangements. We have also contacted all those who won our draw prizes – Specialized bike helmets and Lonely Planet books! Congrats to all the winners and to everyone who took the time to participate. Speaking of participating, check out Team “Wheel Big Deal” that became our final #200for200 team – completing the challenge and raising the money just yesterday! Well done team!